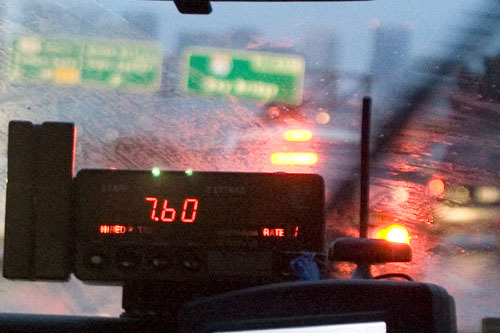 SF Taxi Media: The SFMTA's Memorandum On A Meter Rate Increase. The MTA Board of Directors has scheduled a public meeting on May 17th to discuss a taxi meter rate increase.The following is a link to a memorandum from Sonali Bose, CFO / Director of Finance and Information Technology, to the SF Municipal Transportation Agency Board of Directors (MTA) regarding information for a meter rate increase. CLICK HERE to view the SFMTA's memorandum on a meter rate increase. The MTA Board of Directors holds regular meetings every 1st and 3rd Tuesday of every month, unless otherwise noted, at 1 pm, at City Hall, Room 400. Schedule of dates and agendas for meetings can be viewed here. Your readers may be interested in this spreadsheet rate caculator, which makes it easy to compare two taxicab rates of fare. It opens with Excel or with the free Gnumeric program.